When utilized in large-scale commercial spaces Spray Foam Insulation systems provide a seamless, climate controlled environment reducing energy costs. 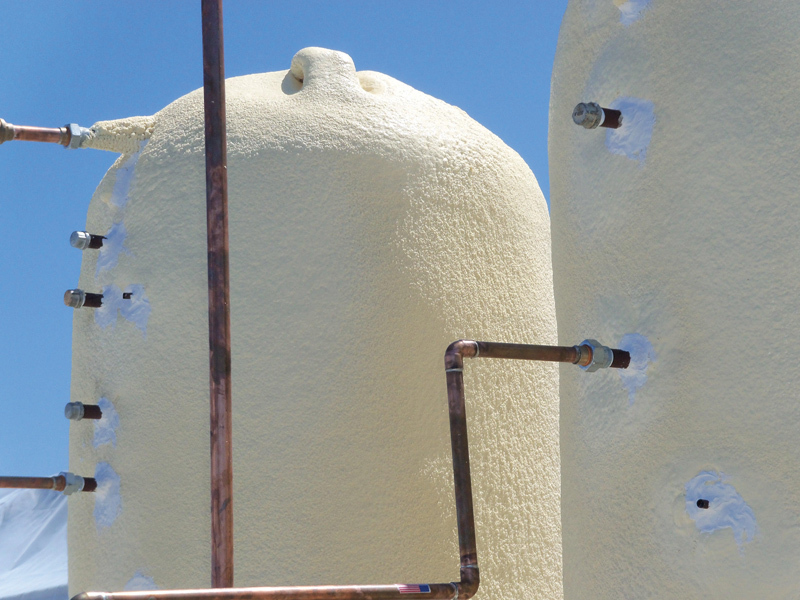 Due to Spray Foam’s ease of application, coupled with its adhesion and insulating capabilities, it is the ideal product for the insulation of temperature controlled wine tanks. Spray Foam insulated wine tanks are protected from outside temperature differentials and allow complete control over the climate within each sealed tank. The superior insulating properties found within Spray Foam allow for the material to freely assist in the climate and humidity control components of wine cellars. Spray Foam Insulation is able to contour and conform to any surface, while controlling the space’s humidity through less than one perm rating, providing unobtrusive and complete climate control. Wedge Roofing is the first contractor in California to have successfully passed the new rigorous standards of testing regulated by the Spray Polyurethane Foam Alliance, receiving certification as Advanced Level Master Installer and Project Manager. This internationally recognized, ANSI accredited certification is the most rigorous, extensive and defining program for Spray Foam Professionals in the world. 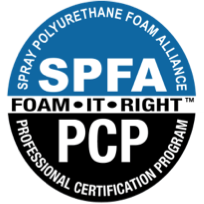 This distinction certifies our demonstrated expertise, essential knowledge, skills and abilities inherent among the highest class of Spray Foam professionals. We provide our clients with the highest level of safety, performance, quality and professionalism well above industry standards. In the future, I will call Wedge Roofing for all my roofing needs. Highly recommended.